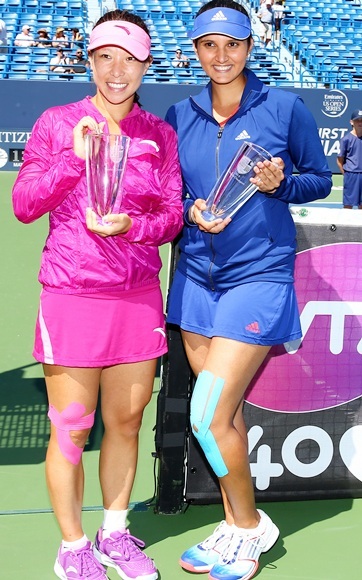 Indian tennis ace Sania Mirza and new partner Jie Zheng made a winning start in the women’s doubles at the US Open. The Hyderabadi, who recently won the WTA New Haven Open -- her third title of the season and 17th overall, seems to have acquired new-found confidence. Sania and her Chinese partner cruised into the second round, easily seeing off the challenge of Germany's Annika Beck and Puerto Rican Monica Puig in straight sets. They won 6-2, 6-2 on court 16 at the USTA National Tennis Center. The 10th seeds will play the Hungarian-American combine of Katalin Marosi and Megan Moulton-Levy. It was mixed fortunes for the Indian men at the Open. 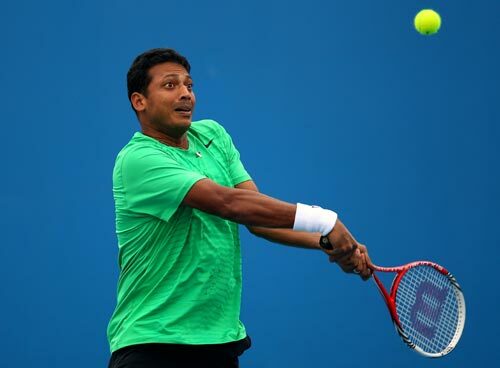 Star campaigner Leander Paes made winning start in the men’s doubles, while his former partner Mahesh Bhupathi bowed out after a first round loss. Paes paired with Radek Stepanek and breezed through to the second round, beating the unseeded pair of Jarkko Nieminen and Dmitry Tursunov 6-4, 7-6(7-4). 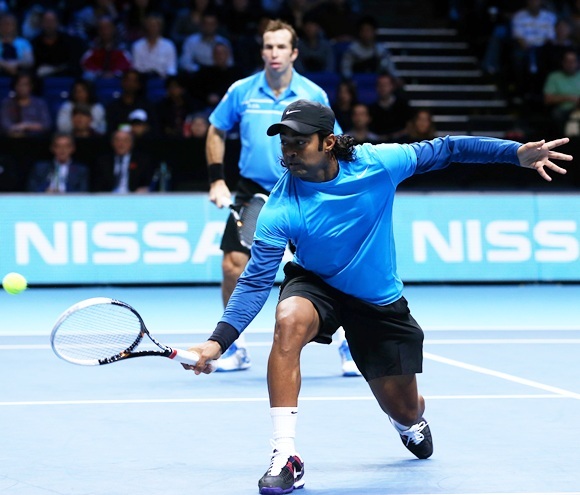 The fourth seeded pair pf Paes and Stepanek attacked from the start and was always in control. The Finnish-Russian pair played some fine tennis in the second set, and a few unforced errors from the seasoned campaigners saw the game go into the tie-breaker. But Paes and his partner held their nerve to take the game in straight sets. 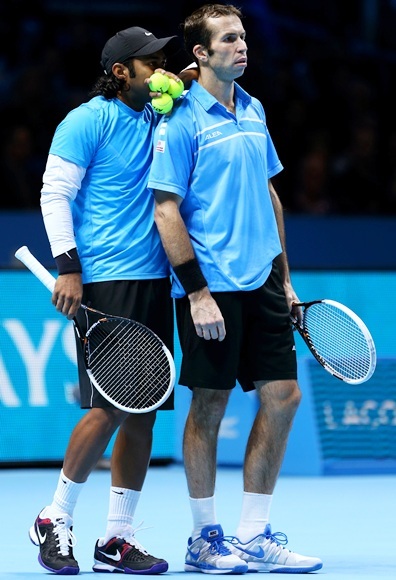 However, it was curtains for Bhupathi and partner Philipp Petzschner of Germany. They lost 6-3, 7-6(7-4) to the Canadian pair of Daniel Nestor and Vasek Pospisil. Nestor, who recently split with his Swedish partner Robert Linstedt, and Pospisil are also Davis Cup teammates and will be part of the Canadian team that plays in the Davis Cup semi-finals in September against Serbia. Nestor has won eight Grand Slam doubles titles with various partners, including the 2004 US Open. Pospisl recently made it to the semi-finals of the singles event at the Rogers Cup and broke into the top 40 of the world rankings. Just who is Victoria Duval? Will Maria Sharapova do a Murray?